In the Gatov East gallery, Juan Martin art pieces were displayed. There were only about three pieces he had on display, but they were big enough to fill the room. 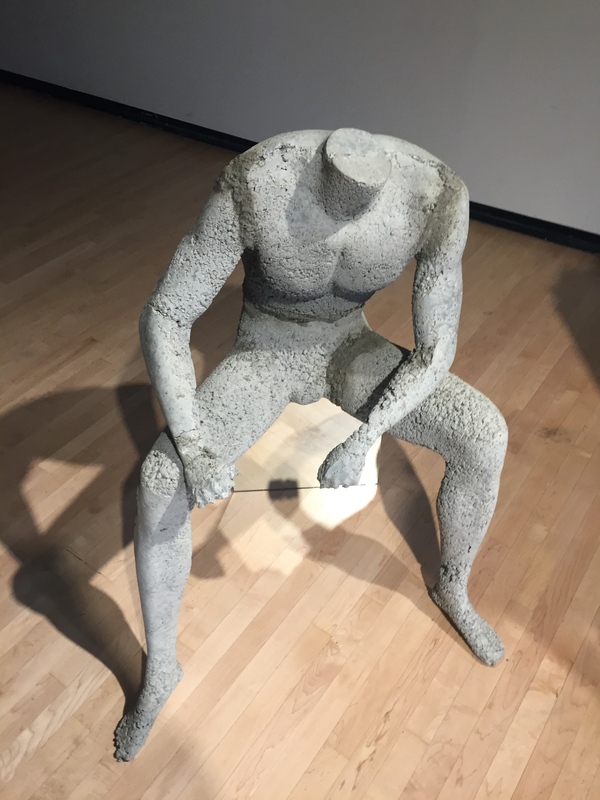 Juan’s three pieces were, a cube, a deer, and a man body sculpture. I really liked the man body sculpture because it reminded me of the activity we did week 1. You could see the rough texture of the ceramic. You could also see muscles and strong legs giving a resemblance of a manly figure. 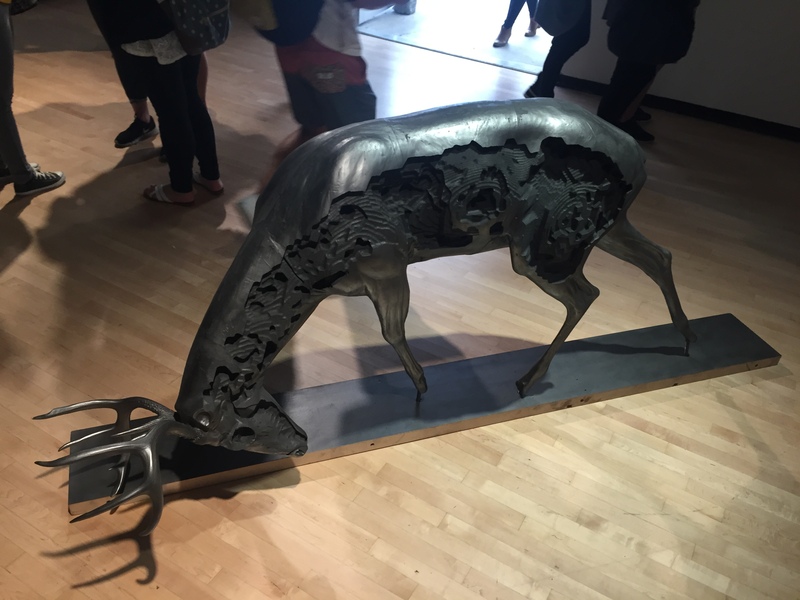 The deer piece was fascinating because on one half it looks like a regular deer and the other half it looked mechanical.I was surprised that it was made out of foam. The deer piece would be something I would want to have in my house. Lastly there was the big giant cube wrapped in plastic wrap. It seem that as if there was something inside and they forgot to open it. Juan whats his audience to have their own interpretation. That is why he couldn’t really tell us what each piece was. 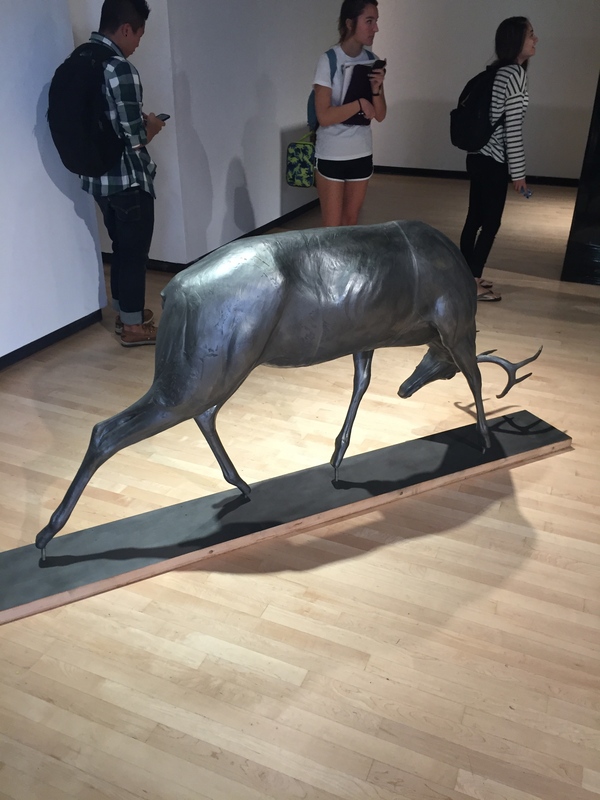 he loves the wildlife, so that can explain why created the deer piece. It took a month to complete his pieces. He is majoring in sculpture. This is his last year at CSULB. He grew up in Visalia, which about three to four hours away. I been to Visalia before since I have family over there. I enjoyed his exhibit because it showed pieces that were all different from one another. 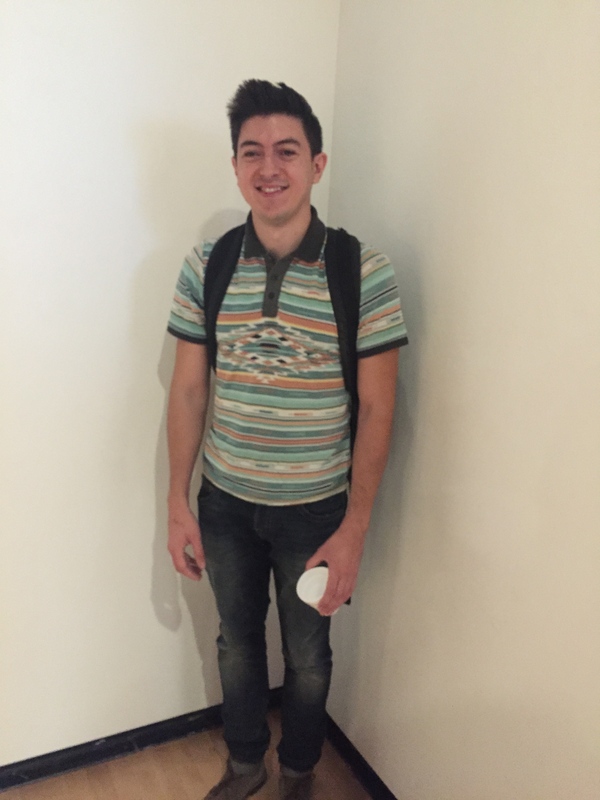 I also really liked the fact that Juan made himself approachable and he was very kind to the students who took interest in his work. I look forward to seeing more of his animal sculptures.